I'm having a problem with, as far as I can tell a single folder (~/Pictures) in the Finder's List View mode. When I navigate to other folders they display normally, it is only my Pictures folder that is wrong. The folders do not have a disclosure triangle to see its contents. I have tried deleting the folder's .DS_Store and .localized files and restarting the Finder, repairing Disk Permissions with Disk Utility, and finally cold booting the machine. I'm at a loss as to what could be causing this. My machine is a MacBookPro w/Retina running 10.8.4. Notice that the column headers are being drawn differently and the disclosure triangle to the left of the folder names is missing. You can show the disclosure triangles in list view by opening the View Options (⌘ cmd + J) and changing the Arrange By to None. 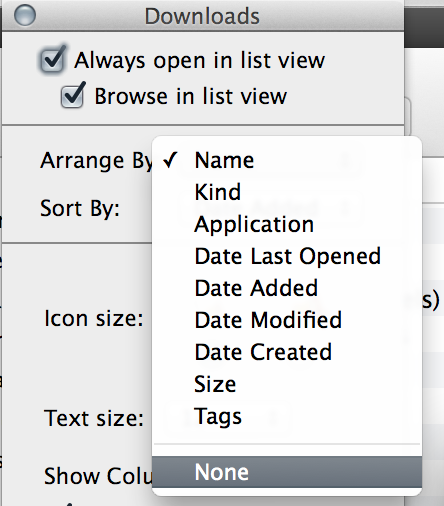 Setting this also allows you to click on a header to set the sort order like SL's headers. A 'sort triangle' will be shown. Having a "sort triangle" instead of the (snow-leopord, at least) "column highlight" I think is a step backward. Sure, it looks more like the iOS, but it's a step backward in terms of being able to quickly see the sorted-status of a folder (just glance at the color. (My guess - though just a guess - is that "color v. B/W" recognition by the human eye is probably a bit faster than shape-recognition - if it's colored, it's sorted; if not, it's not). My (totally uninformed) guess is it is some unintended consequence of how Core Data works internally. I'm guessing Core Data is basically ALL of what allows Spotlight searching, and is also used by the Finder in it's views as well. Not the answer you're looking for? 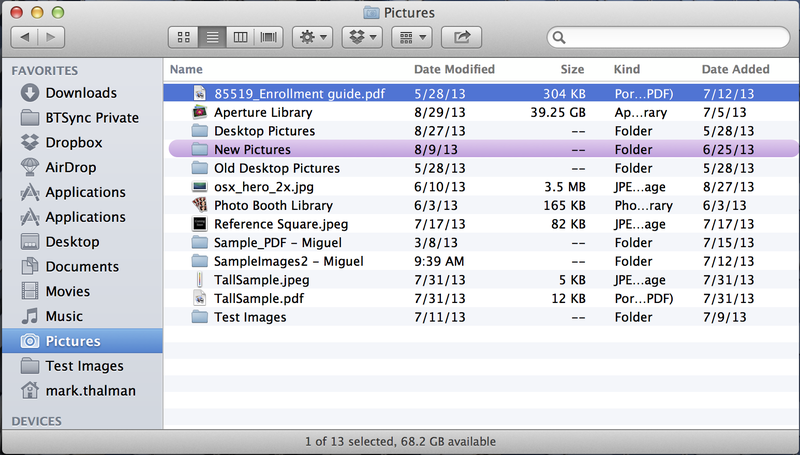 Browse other questions tagged macos mountain-lion finder . Temporary .DS_store files, phantom connections?